Yesterday the Patent Trial and Appeal Board (PTAB) of the United States Patent and Trademark Office (USPTO) refused yet another inter partes review (IPR) petition filed by hedge fund billionaire Kyle Bass. See Coalition for Affordable Drugs V LLC v. Biogen MA, Inc. The Coalition for Affordable Drugs, the entity backed by Bass, sought to challenge U.S. Patent No. 8,399,514, which is owned by Biogen MA. The claimed invention in the ‘514 patent is a method of treating multiple sclerosis. The prior art relied upon in the IPR petition included a description of a randomized placebo-controlled Phase II trial of a novel oral agent in patients with relapsing-remitting multiple sclerosis (RRMS). The petitioner argued that the description of this Phase II trial, which made reference to the use of fumaric acid esters, rendered the method claims of the ‘514 patent were obvious. The PTAB refused to rely on the description of the Phase II trial as prior art in the institution denial decision for four different reasons. First, the PTAB said that the full pilot study had not been made of record, which apparently also meant to the Board that the available description of the pilot study (described in the Kappos reference) was somehow not prior art. This reasoning, if you can call it that given that it was provided in only two short sentences, is extremely troubling. Clearly, the publication of a description of the pilot study would in and of itself be a publication that could be relied upon even if the entirety of the report was not available. Frankly, not considering a published description to be prior art flies in the face of volumes of Federal Circuit decisions on what it means to be a publication. The Kappos reference was a publication and to pretend that something described in that publication is not prior art is unbecoming the dignity of the Board. Second, the PTAB took issue with the fact that the pilot study tested a therapeutically effective amount of fumaric acid esters. Without fully describing their reasoning, the Board explained that public use is not prior art available in an IPR. 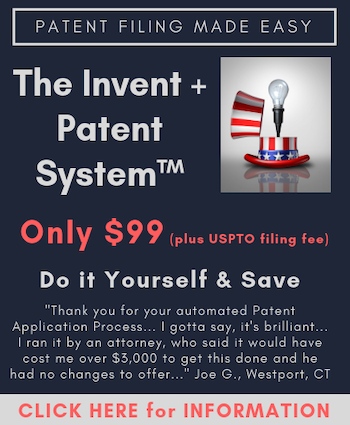 It is, of course, true to say that while a petitioner may request to cancel as unpatentable one or more claims of a patent only on the basis of prior art consisting of patents or printed publications. See 35 U.S.C. 331(b). But the pilot study was not merely a use, but rather the description contained in the Kappos reference was a written publication. In fact, the Board quoted from Kappos in the denial decision. In part, Kappos reads: “An open-label pilot study demonstrated that a product containing a mixture of fumaric acid esters significantly reduced the number and volume of gadolinium-enhancing (Gd+) lesions in patients with RRMS.” I am hard pressed to understand how such a description constitutes nothing more than prior use that could not be used to support an IPR petition. The Board is simply wrong on this point. Third, again in cursory fashion, the PTAB wrote that “a description of ‘fumaric acid ester’ may or may not be a description of DMF. There are fumaric acid esters other than DMF which have been described as potentially useful for treating multiple sclerosis.” Putting aside the documentary evidence provided by the petitioner that established it has long been known to tread multiple sclerosis with DMF, this reasoning seems to completely undercut the reasoning in the first two rationales offered by the Board. In the preceding paragraphs of the institution denial decision, Kappos was summarily dismissed by the Board. Under the first rationale it was dismissed because the entirety of the study wasn’t provided, and in the second rationale it was dismissed because the written description constituted nothing more than prior use. Put aside for a moment that neither of those conclusions make any sense under any reading of U.S. patent law, which is indeed problematic in its own right. What is really bizarre is that under the third rationale Kappos is now characterized as constituting “a description.” Frankly, it seems the Board wanted to have their cake and eat it too. Kappos cannot merely be about prior use if the Board itself is relying on the description, which they have to realize is in writing as they are reading it. Clearly the description of the Phase II pilot study is and should have been considered to be prior art. Perhaps most important, is that Kappos tells one skilled in the art that there was a pilot study and that a Phase II study will be undertaken to evaluate efficacy of BG00012 inter alia for treatment of MS. The nature of the pilot study is not apparent. Petitioner has not established the precise nature of the study and whether researchers were determining a therapeutically effective amount. The Pilot Study is not a description that DMF is useful for treating MS; rather, at best it is a “hope” that DMF will turn out to be useful for treating MS. A hope may or may not come true and does not establish that DMF is useful for treating MS. There is so much wrong with this reasoning it is hard to know exactly where to begin. In the written portion of Kappos actually quoted by the Board the reference explains: “This phase II study was designed to evaluate the efficacy of three doses of BG00012 on brain lesion activity as measured by magnetic resonance imaging (MRI) in patients with RRMS.” Clearly, the “precise nature of the study” was aimed to determine which of the three tested doses worked best, if at all. Therefore, the Board is factually wrong to say that there is no evidence proving whether researchers were determining a therapeutically effective amount. Furthermore, according to the Food and Drug Administration (FDA) the focus of a Phase II trial is specifically to determine efficacy. It seems horribly disingenuous for the Board to have reached the conclusion it did. The Board tries to dance around the central issue regarding clinical testing by saying that “prior to completion and evaluation of Phase II, one skilled in the art would not necessarily understand from Kappos that MDF is useful for treating MS.” Such a statement cannot be legally true given the Supreme Court’s decision in KSR v. Teleflex. Ever since 2007 an obvious to try rejection has been a valid obviousness rejection. It seems absurd that it wouldn’t have been at the very least obvious to try, if not obvious in fact, to use DMF for treating MS based on favorable Phase I testing and all of the underlying laboratory tests that obviously indicated some reason to believe it would have been desirable. Because, after all, if it wouldn’t have been desirable to pursue then why did the FDA let the clinical trials go forward? Given that the quantum of proof to move forward with clinical trials is much higher than any required proof to establish obviousness should have clearly meant that Phase II testing was much more than sufficient to be used as prior art in an obviousness rejection. Clearly, one of skill in the art familiar with FDA processes and clinical trials would have thought it obvious to try DMF for treating multiple sclerosis after having read the description in the Kappos reference. Inexplicably, the Board comes to the end of its analysis of the Kappos reference by saying: “Petitioner has bottomed its case on a publication describing potential FDA phase I and II testing…” Throughout the decision the Board continues to be preoccupied by the fact that there was no final report submitted relating to the Phase II testing. Again and again the fact that the full report is not present seemingly allows the Board to discredit the description in the Kappos reference as perhaps pertaining to something that never happened. But again, that wouldn’t be relevant at all. Even if the Phase II testing never occurred that wouldn’t change the fact that the Kappos reference suggested the use of fumaric acid esters to be useful to treat patients with multiple sclerosis. So not only would it have been obvious to try, but there was also a published suggestion that trying would produce positive results. The Board really needs to brush up on KSR rationales! Inter partes review is a terrible mistake. It should not have been conceived, and it has been used in unequal ways against patent owners. If the Board is going to institute IPR trials only in the most egregious cases fine, but this IPR institution denial decision has numerous logical and legal flaws. Clearly, the description of the Phase II clinical trial was a publication that can be used as prior art in an IPR proceeding. The petitioner submitted journals going back years all teaching DMF as a means to treat multiple sclerosis. Thus, I have to wonder whether this decision has more to do with Kyle Bass than with the law. Given that IPR institution decisions are not appealable there will never be a check on the egregious mistakes made by the Board in this situation. I continue to believe that it is unconstitutional to have an agency decision insulated from judicial review, and this decision by the Board should be the poster child for why judicial review is absolutely essential. To any outsider looking in, it is obvious that this case is being handled differently based on the applicant. If Apple had filed a petition, with similar facts, against a small patent owner in the tech sector, the IPR would have moved forward, and the patents invalidated at the speed of light.